Limousine service Dusseldorf - You will arrive relaxed. Welcome to Dusseldorf’s exclusive limousine service. Gerst is the modern executive limousine and chauffeur service, together with Gerst Shuttle-Service also stationed in Dusseldorf. Gerst Executive is a family business has been backed by 40 years of experience in the field of passenger transport with high standards that don’t compromise personal service. Our name is associated for elite limousine services in Dusseldorf. Drivers of our limousine service in Dusseldorf are discreet, professional appearance and understand that getting passengers safely to their destination is imperative. The Gerst Limousine service in Dusseldorf regulate a simple 3-shift system in order to provide a rested driver available at any time can. To ensure excellent service, we plan to perfection. We schedule our limousine service to always be on time and stress-free, during peak times. We plan this between transfers to ensure there is sufficient time to transfer customers to their destination. With our exclusive fleet of limousines and vans, plus your own personal driver, any experience with our luxury limousine service in Dusseldorf becomes a relaxing trip. Whether it be an urban area, an appointment to a restaurant, or cross-country trips between home and abroad: Gerst Executive chauffeurs you in comfort and safety. 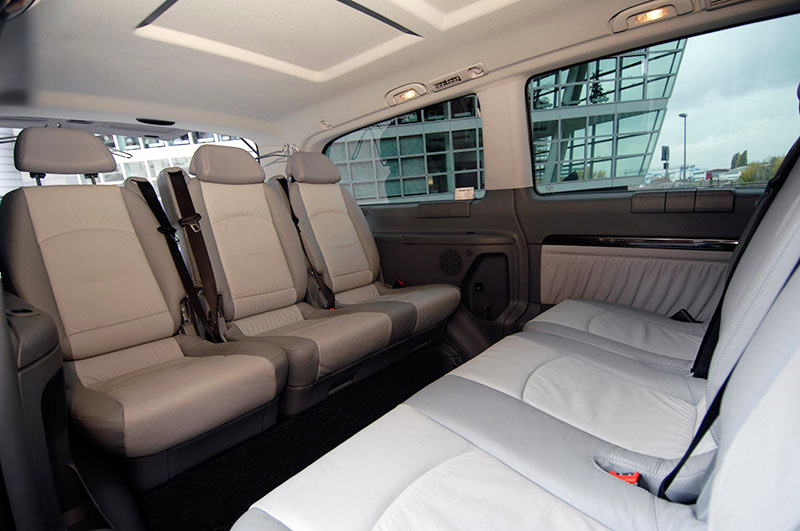 Our vehicles are equipped with all comforts equivalent to a first-class flight, allowing you to enjoy sometimes longer transfers. For business customers, we have the possibility of offering assistance in various ways. From occasional airport transfers, to a permanent shuttle service, any transfer is made perfect with our fleet of limousines and minibuses. Airport transfers, inner city chauffeur to a meeting, lunch, visiting customers or trips to a corporate event. Despite special requests by the company, our limousine vehicles in Dusseldorf can drive you in excellence. The arrangement of individual transfer and services can also be happily organised over a monthly invoice. Call us or use our quick contact form to send us an inquiry without obligation. Our limousine service is available when and wherever you are in Dusseldorf.